NEW LISTING & OPEN HOUSE - 129 Covington Lane Pataskala, OH 43062! Why build new when you can have this like new Ryan home on an acre with city utilities! The house commands your attention at first glance and doesn’t stop as you walk through the front door to the 9′ ceilings on the main floor with gorgeous neutral gray tones, and white trim and doors. The white 42′ cabinets with pull out drawers, large angled island and granite, overlook the sunny morning room. So much space in this home with an additional room on main floor for office or play in addition to the formal living with fireplace, dining, and family areas. Large half bath, mudroom area by garage and front entry as well. LED lights throughout the home. Storage is abundant with huge closets throughout, and pantry. Second floor laundry, huge owner’s suite and poured basement roughed for bath. Click here to see more! 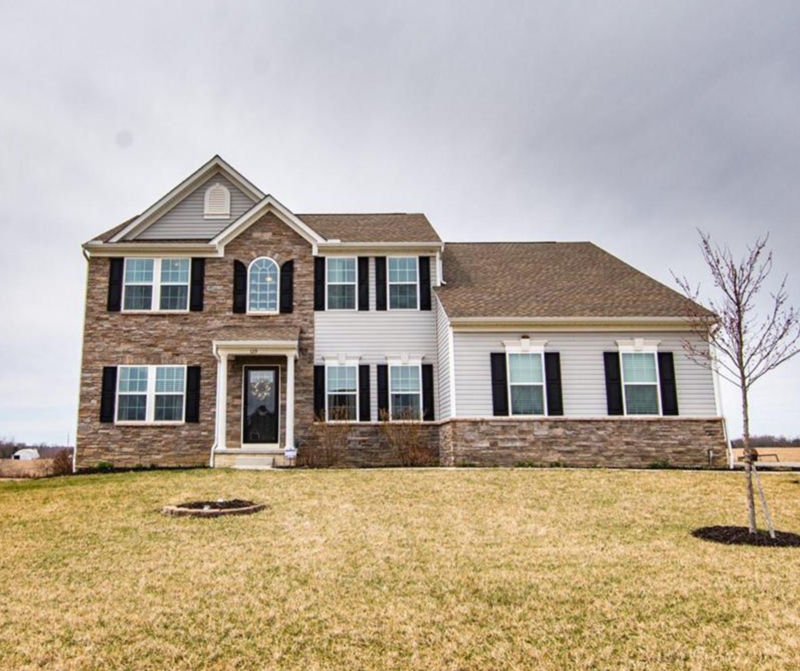 Open House – Saturday 4/6/2019 from 2-4 P.M.